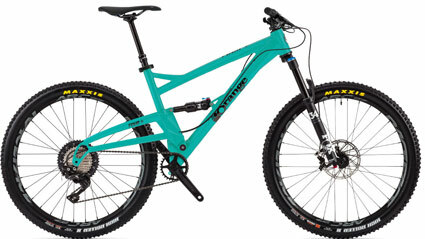 If I were to pick the perfect trail bike for UK riding it would be short travel but still have the angles of a longer travel bike. Having one bike for everything is great for most riders but if you want a specific tool for trail riding then look no further. Lighter than the Five and slightly steeper. The Orange Four plugs the gap in the Orange range with the Four, Five and Alpine 6 they have the right tool for the right job. The Orange Four Pro will be the most popular in the line up great in its standard spec but you can still pick one of oranges many upgrades like a dropper post and custom colours. Please contact us for a list of Orange Four Pro upgrades.